Well, you may have noticed that something looks different around here. Last week, the Techie Kids visited our blog buddies, Mr. Avery and Mrs. Watson’s, class blogs. They were super excited when they saw the Christmas decorations and immediately started asking if we could decorate too. Of course, they didn’t have to ask me twice! If you’d like to add some fun to your website, visit blogamation.com and take a peek at some of their cool animations. I thought I’d share our Sqworl with some fun websites for you to try out this month. Can you share any of your favorites with us? We’d love to add them to our collection! With so many pictures being taken at this time of year, we wanted to share some of our favorite Photo Editing websites with you. We’ll be exploring these in class this week. Don’t forget about having fun with Wordle too! Do any of you have tips to share about making a glog? Can you tell us about a favorite Christmas or photo editing website we should try? Please share your favorite Christmas activity, tradition, or story with us. This entry was posted in Techie Kids and tagged Blogging Buddies, Holiday, Technology, Websites by Mrs. Moore. Bookmark the permalink. I absolutely love your Christmas blog makeover. Like you, we just couldn’t resist! I especially like that it is snowing in your background. We are all crossing our fingers and toes that we will get some snow for Christmas. Do you have snow? I also can’t wait to share your sqworl with the 2/3s. I know they will be eager to try the sites you have suggested. One of my favourite traditions at Christmas is making wrapping paper countdown to Christmas chains with my girls. We use wrapping paper scraps and make a chain link for each day until Christmas. We take one link off each night and when we reach the bow at the top we know Santa is on his way. I remember making a chain with my family every year when I was little too. I can’t wait to hear about your traditions too! Thank you so much for your lovely comment! There were so many excited squeals when our class saw your decorated blog last week. Crossing your toes! That is so funny! I’m sure you must be very talented to do that. 🙂 Lots of us are hoping that we have a white Christmas too. We have had a little snow so far this year, but not much. I always like when a pretty covering of snow is on the ground for Christmas morning. Please let us know what the 2/3’s think about our Christmas website collection. If you have any of your own to share, we’d love to add them! Most of us make Christmas paper chain countdowns too. Mrs. Moore’s daughter, Bella, made her first chain coutndown this year. She loved being able to use the scissors and decorate our home! Sydney and Alaina make their paper chain’s with a special twist. They write down their good deeds on the links before they connect them. Then, on Christmas Eve, their family sits together and reads all of them. They even leave them out when they are done so Santa can read them! Your blog looks very Christmassy! Thank you for sharing the link to blogmation. I have added some Christmas lights to the top of our blog too. The B4 students are on their summer break now but I hope they keep on visiting blog over the holidays. You are very welcome! I’m glad you thought it was fun to decorate your blog too. Your lights look great! Our Christmas break will begin next Tuesday at the end of school. It seems very strange to us for you to be on summer vacation when it is so cold where we live. Could you please tell us what Christmas is like with your family since you have summer weather instead of winter? It is hard for us to picture a Christmas that isn’t cold. Some of the Techie Kids did not know where your country was. So, we used Google Earth to look it up. We noticed that you are in the Southern Hemisphere near Australia. When we zoomed in, we saw many mountains. That’s pretty awesome to us since most of our area is flat. Many of us would love to see a mountain sometime. It would be very exciting if the mountain we saw was in your beautiful country! In our family we often have Christmas dinner out on our deck because the day can be very hot. We usually have traditional Christmas food such as turkey or lamb, but we might also have salads. Other families might have barbecues at home, or picnics at rivers or beaches and they might take their jet boats or jet skis, and go swimming! Our small town is on flat land but is surrounded by bush-clad hills and further back there are mountains. Our area is very popular for tramping (I think you call it hiking), bush-walks and other outdoor activities. What are some popular activities in your area? Thank you so much for sharing more about your Christmas traditions with us. We are fascinated by your activities! We all enjoy the things that you’ve shared, but we have barbeques and water sports in June, July, and August. Certainly not in December! Our lakes are frozen! We are imagining how cold we’d be if we tried to have a picnic at the beach near us on Christmas day. We wouldn’t even make it past unloading our car! Not too many of us have had lamb before, but a lot of us do have turkey and ham. We also like to eat different kinds of potatoes. Dominic’s favorite are cheesy potatoes. Yum! We think that water sports are a very popular activity in our area. We live pretty close to several beaches. That’s good for jet skis and swimming too. Tubing is another popular water sport. This is when an inflated, doughnut shaped tube is tied to the back of a boat. Someone sits on the tube and the boat acclerates. We think it is very fun! We like to do hiking too, but around here it’s just a lot of flat walking. When we travel into northern Michigan, we have something called sand dunes. These are wonderful for climbing. It is great exercise with a beautful view. Have a Merry Christmas, Mrs. McKenzie! We love you blog, it is beginning to look a lot like Christmas. Is it cold where you live, is it snowing? It is summer here and lots of people go to the beach on Christmas day. We have three more school days until we break up for holidays. When do you start your holidays? Thank you for the fantastic compliment! We had fun decorating. Have you decorated your blog? Wow! People go to the beach on Christmas day? That’s is so different then where we live! We would never even think about going to the beach for Christmas. That has created a pretty funny picture in our minds. 🙂 It is definitely cold here. We have had snow, but not much yet. We are usually good for 4 or 5 days when we have so much snow that school gets cancelled. Have you ever had school cancelled for a snow day? How wonderful to be so close to your vacation. Our Christmas break will begin after school next Tuesday. We can’t wait! When will you return to school? Have you had any special highlights from this school year that you’d like to share? Herod’s soldiers had been sent on their grim mission to kill all the male children under two. Mary and Joseph were hiding with Jesus ina cave. It was cold and dark, night feel. The soldiers lights could be seen in the far distance. At that point many spiders began to weave a web across the entrance of the cave, they worked skillfully and swiftly. Soon the web was finished and as the cold night lengthened a beautiful tapestry of frost appeared on the web. When the soldiers arrived they took one look at the web and said, “nobody has passed through that entrance for a long time, we don’t have to look in there.” The baby jesus and Mary and Joseph slept and the danger passed. Today the tinsel on our trees reminds us of the important things that even the smallest of us can do. Congratulations! 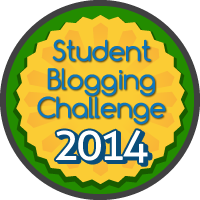 That is wonderful to hear your class blog was nominated. You sure have an awesome teacher! It is wonderful that you get to be a part of something so special. Thanks for skyping with us! Everyone was excited about it. I liked the fact about there was four presidents born in your state. I hope you guys had a great time skiyping with us. Your right! Everyone loved skyping with Mr.Avery’s class.I liked that there were 4 presidents were born in Massachusets too! I think it’s cool that 3 of them were named John. 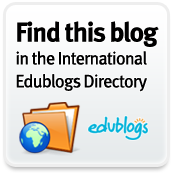 Thank you for letting me show my blog to the classroom. That way I’ll get more visiters! I think it’s great that you are interested in the things we do in class. How fantastic that you’ve chosen to explore more in your own time! Remember your Internet Safety and quality writing. I was wonder ing how do you celabrate christmas? We celabrate christmas by sitting around the table and opening our crackers.Our crackers are not actlly crackers. they are things that where you pull boath ends and a toy pops out.See you later. It’s so nice to read a comment from you! Thank you for telling us about your crackers. I’ve heard about them before, but they are not part of my family’s traditions. Just last night, I was at a store that was selling them. I immediately remembered your comment and told my family about what you said. You taught us something new! Our family will celebrate this year by opening gifts together and then going to church. After church, we will visit 1 part of our family around lunch time and then another part of our family around dinner. We have so much family that it we will be having different family get-togethers on 3 separate days! Can you tell me one of your favorite Christmas traditions? Thanks for sharing some of your favorite parts about Christmas. We have many of the same favorites. We love to spend time with our families and put up decorations. Sarah’s favorite part of decorating is hanging lights up on the outside of their home. Do you hang up lights outside of your homes too? I hope you are having a good wekend .I cant wait to go to see you in class after christmas break. I did have a good weekend, thanks! I was able to spend time with my family and get some present shopping done. What did you do this weekend? Caleb from our class (Van Dam) has a blog! Its called “Awesome Times”. I helped him make it. Thank you for the update. I am glad you’ve taken an interest in creating your own blog. Remember to practice quality writing while being respectful and responsible. Don’t forget to use your NetSmartz! I am looking forward to reading your first post. I would like to know what you want you want for Christmas? I want an iPod. I am looking forward to playing with you during vacation. What are you looking forward to? I would want a lot of stuff for Christmas so I am not going to name them all. But somethings I want for Christmas are…. a Blizzerd Maker Docter Drill and Fill an Ipod toach. I am looking forward to playing with you on Pajama day at school. Please write back bye!